Combine the ingredients and bring to a boil. Allow to cool and serve over crushed iced. 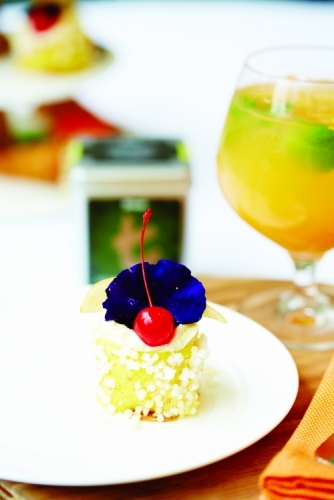 Garnish with orange and lime twist.